There are two very important times of year in Sweden. One is the time of longest dark, and the other is the time of longest light. Both are celebrated with eating, drinking (and drinking), good company and the playing out of traditions that have long outlasted explanations. And, generally, joy. We’ve been marking the lengthening of days for some time now, noticing that when we’re walking home late/early at night that the sun never properly sets, leaving the sky a hazy blue even down here out of sight of the Arctic circle. As of last week the balance tipped, and from now on the darkness with get darker and longer until we won’t be able to imagine relaxing in the sun on our balcony at 10:30pm. A sad thought indeed. However before we and the rest of Sweden let ourselves dwell on that we all have a celebration. The day of longest light*, in which we eat, drink, enjoy good company, dance and admire a large somewhat phallic pole. Midsummer! Or to be more precise, Midsummer’s Eve. Being the good little Swedish residents that we are, we had a picnic planned at Slottskogen, where we had celebrated the day last year. Loaded up with food, drink and a bbq we met our friends at the park and were soon settling in for an afternoon of merriment. 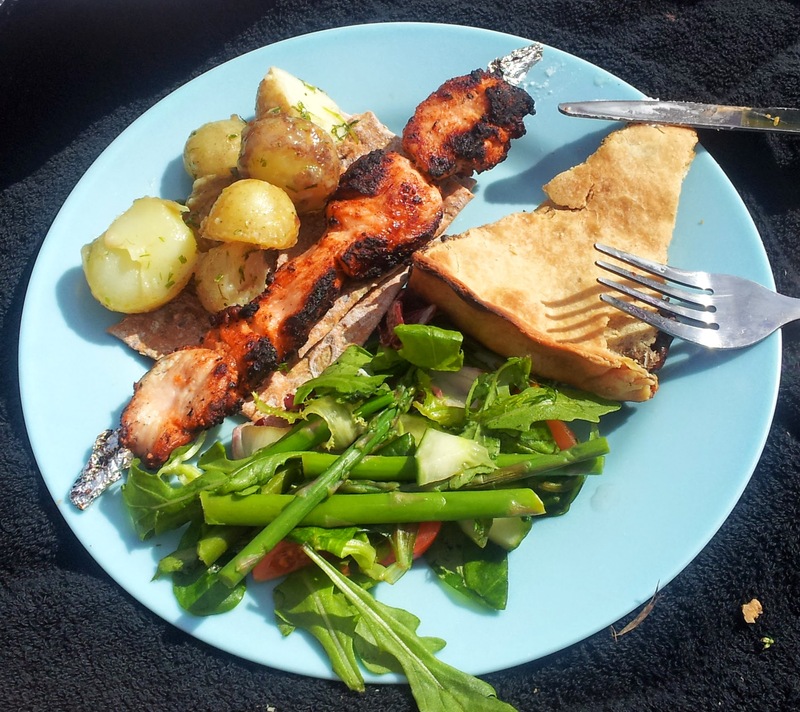 There was cider, the lighting and subsequent going out of the bbq, napping in the sun and eating, which are fairly typical of any picnic. Slightly atypically for us, more or less the whole picnic was also in Swedish, which was the lingua franca between us and our Czech friends. As we chatted and ate, the sun played hide and seek above us and we joked that the Summer had finally arrived during the warm patches of sunlight, and was replaced by Autumn as the clouds covered the sky. By looking to the north we could even see if we might get another moment of Summer and once past watch as it eventually drifted over the horizon. Though it had been nicer last year, we reminded ourselves in true Göteborsk fashion that it could always be worse. After a few hours had passed, people began to gather around the garlanded pole set in the middle of the grass. Closer up we could see the two loops hanging from the cross piece, yellow and blue flowers tucked among the green foliage. Our attention was soon taken by the movements of the crowd, who began to spin in circles, some with three people and some with as many as 40. On a stage fiddlers, flutists and singers called out instructions and belted out the traditional songs. Among the crowds people in traditional costumes lead the dances, demonstrating the claps and kicks and leading their circles in twisting snake like lines, all while singing along. Many of those not in costume also seemed to know the words, and I can only assume that part of every Swedish child’s education involves learning the song about the drunk shoemaker, the one about the various pigs that you and I are, how to clean the house before going to church and of course the frog song. I asked my mum about this, and her response would have been matched by everyone else on the field, which was that of course we sing songs about animals and drunk shoemakers. 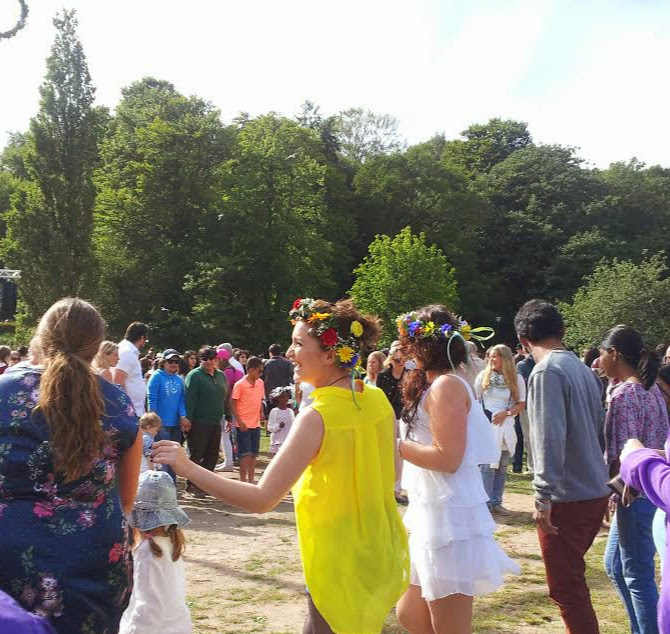 It’s Midsummer’s Eve, when we forget about the staidness of everyday life and give ourselves over to dancing, laughing and making fish noises. That is tradition after all; something we do as a group, that defines us and keeps us together, despite whatever silliness anyone else may think about it. After at least an hour the dancing was over and the professionals took to the field. Most looked to be over 60 but were as spry as anything, and definitely knew what they were doing. They twirled, skipped and clapped to the applause of the crowd, with steps that I hope they’ll pass on to the other, younger costumed folk. 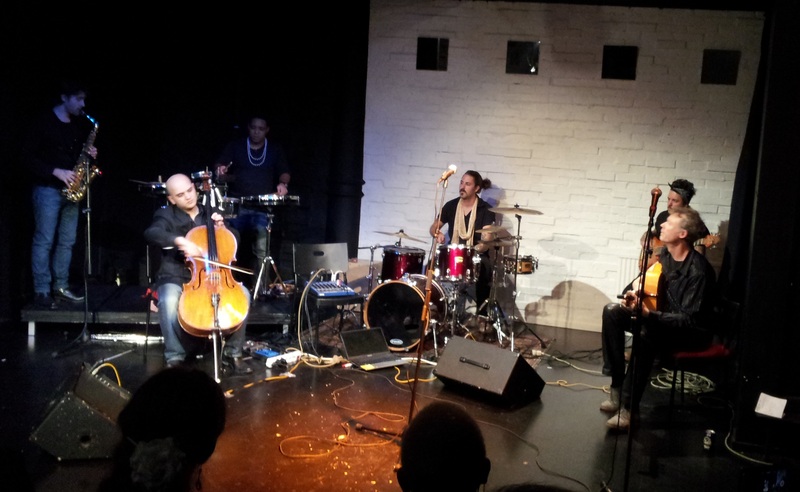 There were no songs about animals, but rather folk jigs and reels that got your foot tapping and conjured images of an idyllic and possibly imaginary rural past, all green fields, mooing cows, clean kirtles and neatly ordered hedges. As we had watched, we found a couple of friends in the crowd and spent the rest of the long patch of sunlight chatting and enjoying icecream as the light began to fade. Before too long it was time to pack up, but before we went home we paid a visit to the animals on the hill. The first that we saw was an elk, lying down by a fence and not looking all that well. We were amazed as usual by its size and strange combination of elegance and ungainliness. We also saw the deer, ducks, swans, geese, goats and ponies, most of whom seemed to be trying to get some sleep despite the light and visitors. As 9:30 passed and a sunset bloomed overhead we headed to the tram stop, hugging and waving our friends goodbye before stepping on our own tram and making our way home. Another Midsummer’s Eve done, half the year has past and the lengthening of days has begun, at least until the next tipping of the balance in the dark of winter. *Technically the celebrations don’t always take place on the solstice, and the dates are adapted each year to make a long weekend. It’s usually within a week of the solstice though. When we were invited to join an overnight cruise I was skeptical. It was billed as a party ship, and we would be joining a group of Swedes as yet unknown to me who planned to get smashed. None of this particularly appealed to me. Nevertheless in the spirit of adventure we decided to go along; if nothing else, I thought, it would make an interesting blog post. In many ways it was as I had expected. As the weekend crept closer I pictured drunk Swedes vomiting in swaying ship corridors, a tiny cabin a metre wide and windowless, people pinging between the ship’s only two bars and a rain drenched deck. One of these at least was partly true. Swedish people, if I may generalise, like to be organised and prepared. Which is why those waiting to board the ship availed themselves of every opportunity to get sloshed. The corridors and halls leading to the as yet closed doors to the ship were lined with 2 bars and a restaurant, all doing a roaring trade. Beer, precarious glasses of wine and cruisers bobbed about and were knocked back or knocked over as the queue eventually began to move forward. Some people pulled empty trolleys along with their luggage, ready for the slabs of beer from duty free. If only they had known that you can buy pre-packed trolleys in the shop. A hen’s night group in matching t-shirts bustled about bottles in hand, already warmed up. We followed the crowd, in the wake of the Swedish friend of a friend who had invited us along. 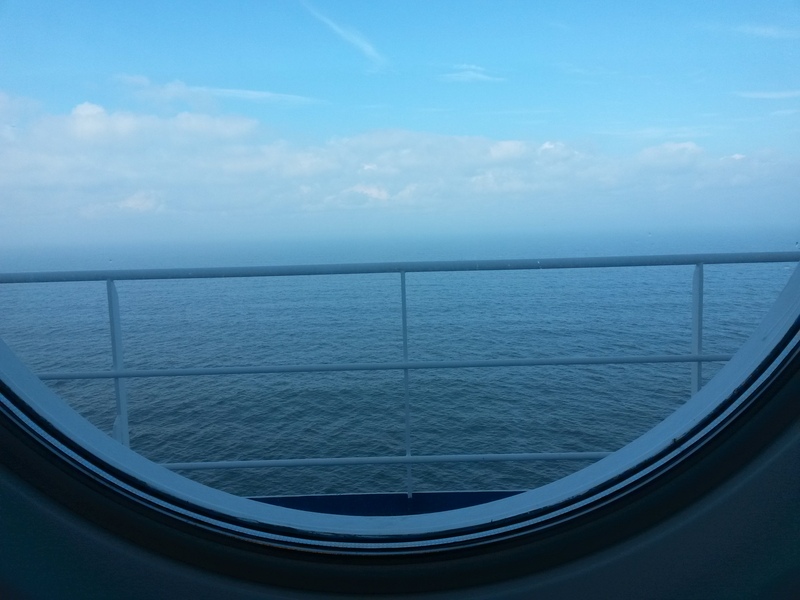 Somewhat comforted that there were more than 2 places to spend our time, I continued to edge slowly forward, through security and finally onto the ship. My first impression was Titanic, only smaller, and my second was a sigh as I read that our rooms wouldn’t be open for at least an hour. We were all confined to the lower deck for the time being, and as we made our way around, one bar making way for another, and then a dance floor and a corridor of pokies, an inkling of the cunning plan concocted by the ship’s owners began to form in my mind. By the time the rooms were open and we’d located ours, Stockholm was passing us by, and from the round window of our room I could see the roller-coasters and rides of Gröna Lund chugging along merrily. Our roommates seemed nice, and once they’d gone on their way and we’d gotten changed for the evening (con sneakers to black heels, pony-tail brushed out) we hit the decks. 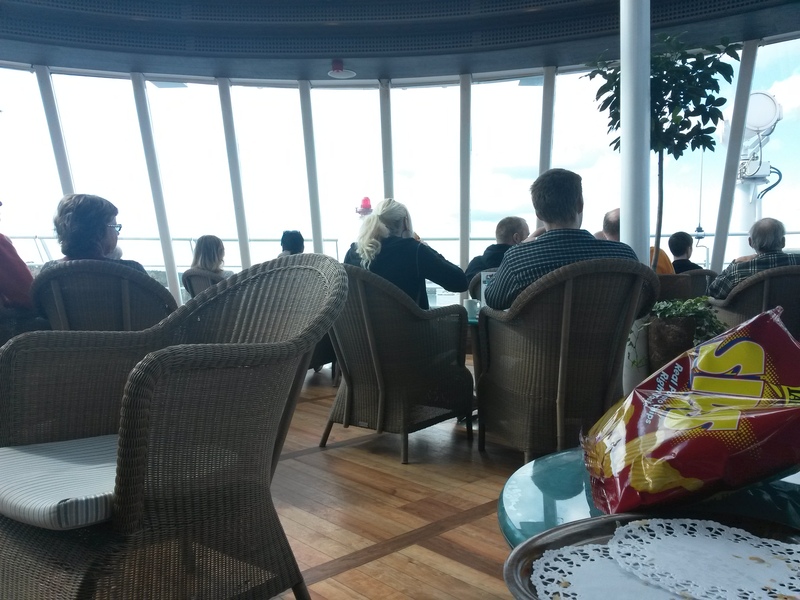 Along with our fellow Australian friend, we wandered about and eventually settled at the bar on the top deck, where we had a lovely view of the Stockholm archipelago slowly sliding past us. After a few more glasses we followed our whims, having dinner at one of the two restaurants after night had fallen outside (it never fell inside) and missing the opening hours for the duty free shop. As time went on it seemed as though we were slipping behind everyone else on the ship drinks-wise, as a visit to the sundeck including a surprisingly good duet of Bohemian Rhapsody and stumblingly cheerful Swedes demonstrated. 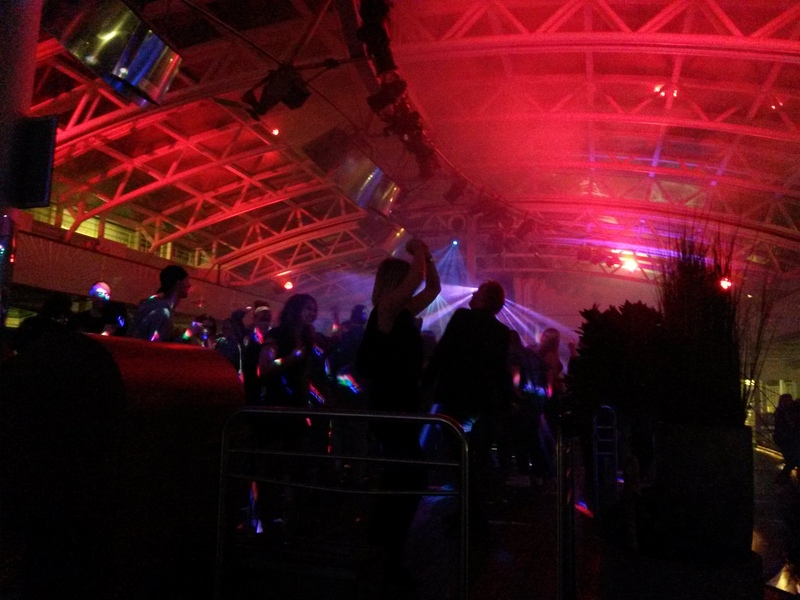 Back at the rooms we found where the real parties were taking place. The plan on these ships is to raid the duty free shops, get tanked in your rooms (where alcohol is technically not allowed) and then head out for the clubs. One of the most memorable moments on the ship was walking past an open door and glancing in to see about 10 young Swedish men perched on bunks and the floor, peering back at me like hens nesting in a coop. We ended up on bunks between someone who overdid ‘Hellooooo!’ just a little, a Brian Viglione lookalike and a Canadian expat. Once our British roommate joined us we switched to English and made progress on a slab of sweet vodkaish things. Then it was time for karaoke, but by the time we had rounded everyone up from the party that was rolling from room to room, the sun deck was a night club and dancing was underway. We passed the hours, watching, dancing, arguing about whether the flappy things above the ship were bats or birds, getting out of the way of medics helping a guy who had lost the fight with gravity and drink. Sometime later it was 5 in the morning and we were back in the cabin, almost-Brian passed out and Helloooo-man making no sense and falling asleep just before we got the message about an impatient girl who was waiting for him. 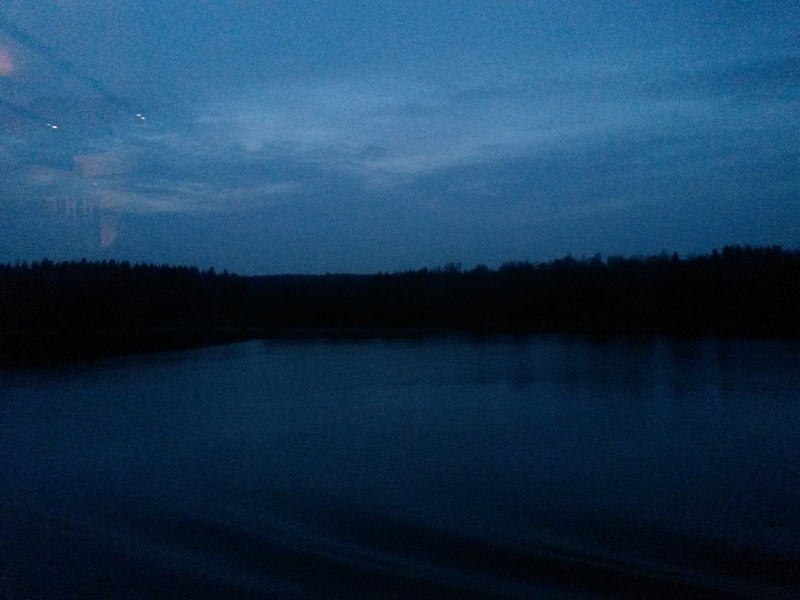 Then, before the sun could start to peak too far over the horizon, we padded as quietly as possible into our own cabin and went to bed, not knowing that we were nearly in Finland. The next morning, 3 hours later, I was awakened by a foghorn and despite struggles and the comfy bed I didn’t manage to get back to sleep. By the time I was up and dressed, the chance to visit Åland had passed. An island that is owned by Finland, where the official language is Swedish and they use the Euro, Åland would be an interesting place to visit, but not this time. We missed breakfast and instead visited the shop, getting some cheap bottles and snacks, and then having a quick breakfast of chips and pastry on the top deck bar. 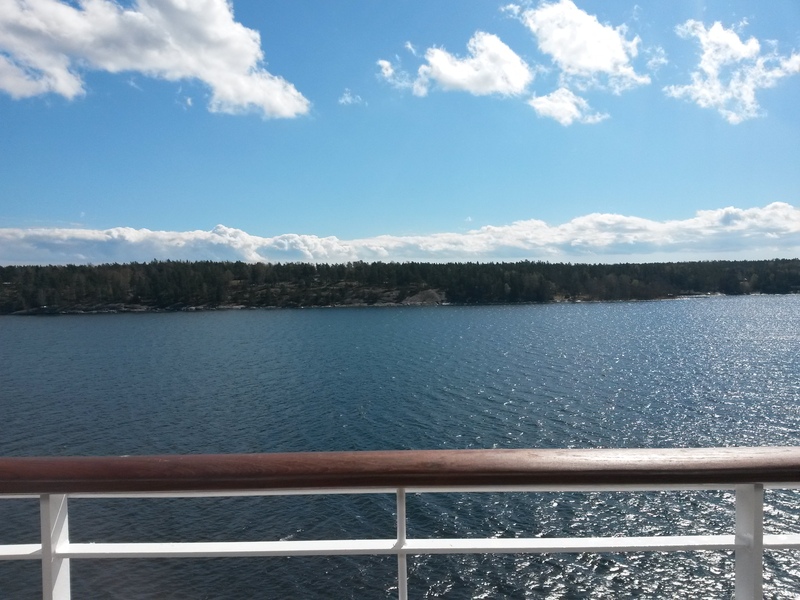 The sun was out and the Stockholm archipelago was moving past us again under a blue sky. For the rest of the cruise we had lunch, sat outside in the windy sunlight, explored the decks and played air hockey (2-1). By the time the boat was pulling back into harbour we were packed and watching gulls and terns dive for fish from the lower deck. 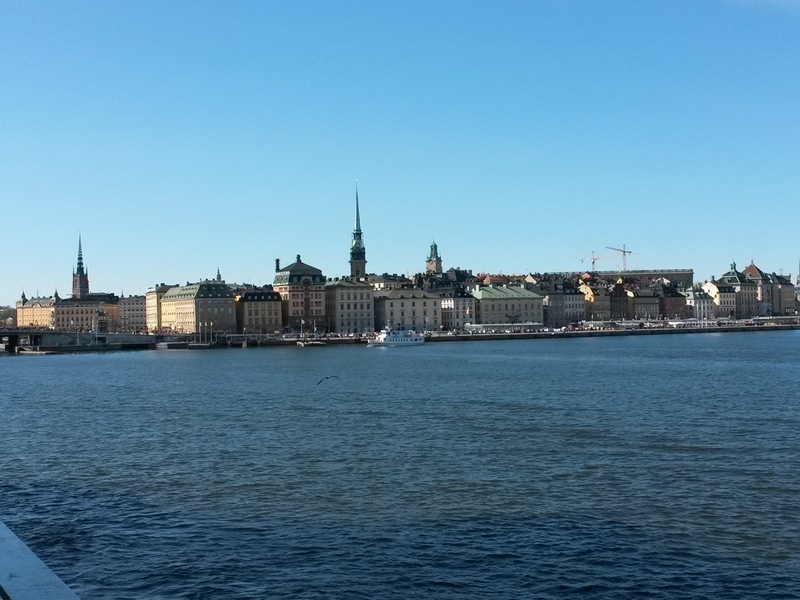 The view of Gamla Stan and Djurgården over the water was lovely, and made me almost want to be part of the bustling big-brother city to my home town. We disembarked, said goodbye to our shipmates, and then headed through town for the train home. As I think about it, many things about the cruise seem to be a contradiction. The cabins are very cheap, but there is no opportunity to save money on the ship. You’re basically trapped with hundreds of other people who want to escape for the weekend, and the only escape is the seemingly endless supply of alcohol. All ages boarded the ship and no doubt all sorts of mischief was gotten up to, but by the next morning we all stepped off looking relatively chipper and friendly, merging back into our everyday selves. What happens on the cruise stays on the cruise, between the vague shore and international waters, and new friends you’ll never meet again. I believe I often mention here how much I have grown to appreciate the passing of the seasons and the depth and endurance of the festivities that mark them. Last Friday I got yet another example, as I ate, talked and briefly danced my way through the longest day of the year. 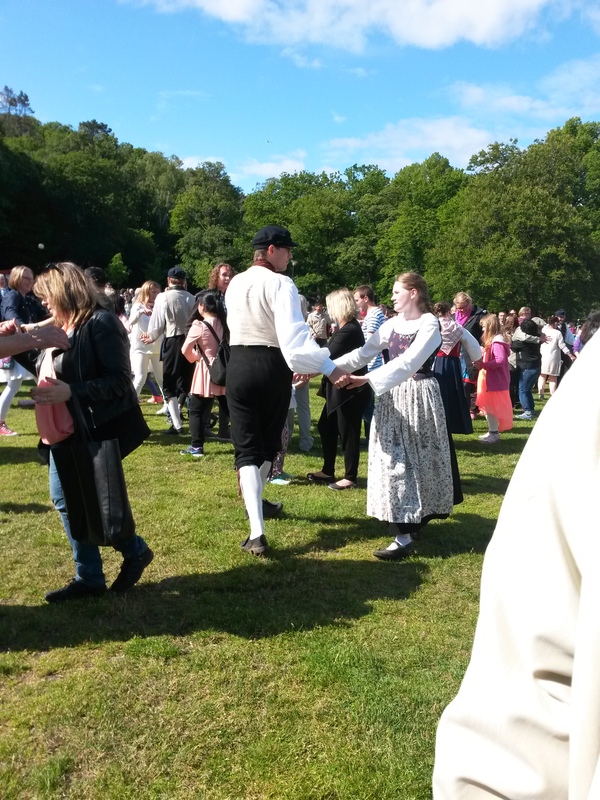 As with Jul, most people in Sweden visit their families for Midsummer, heading off to remote towns or across the country for a few days of eating and catching up. Friends of mine with Swedish partners began disappearing days before, while those of us left in Göteborg cast around for a way to join in the celebrations. 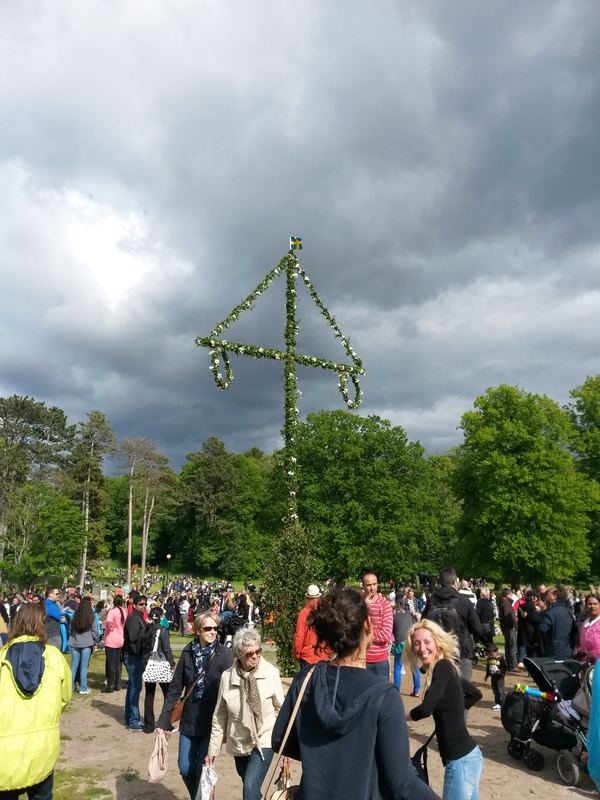 Somewhere my partner and I had heard about traditional festivities in a large park in the centre of town, and while I had heard it was mostly for the benefit of non-Swedes, it seemed like a nice way to get into the spirit. My partners’ parents were still in the country so we arranged to have a picnic with them. The feast included sill (pickled herring), baby potatoes, mushroom and cheese pie, fruit, salad, chicken kebabs and lingon sauce. Plus cider and beer of course. Combined with the sun and company it went down extremely well, so much so that we somehow forgot the strawberries, which are an essential part of midsummers eve. 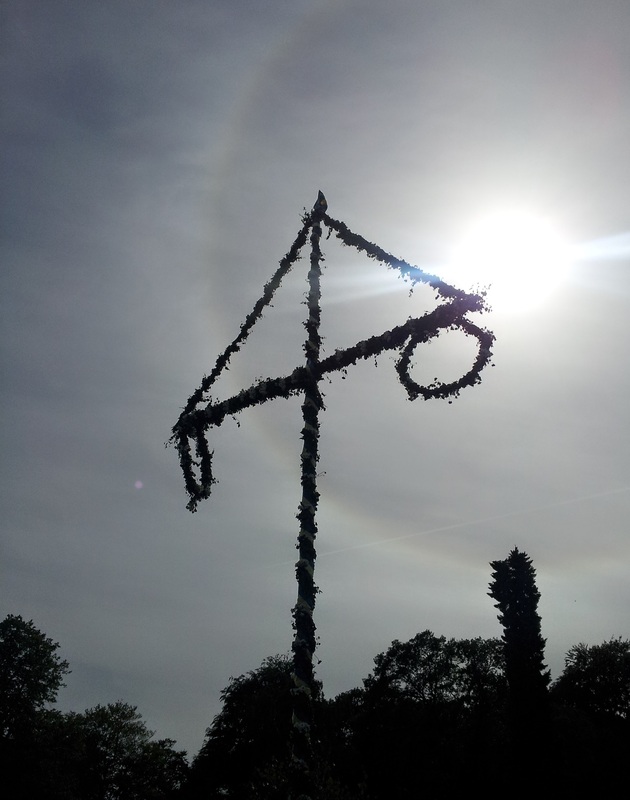 As the day drew on people began to gather around the maypole and a stage, joined by folk in traditional costumes. We wandered over to have a look, and through the crowd managed to see heads bobbing up and down in time to the folk music being played on the stage. 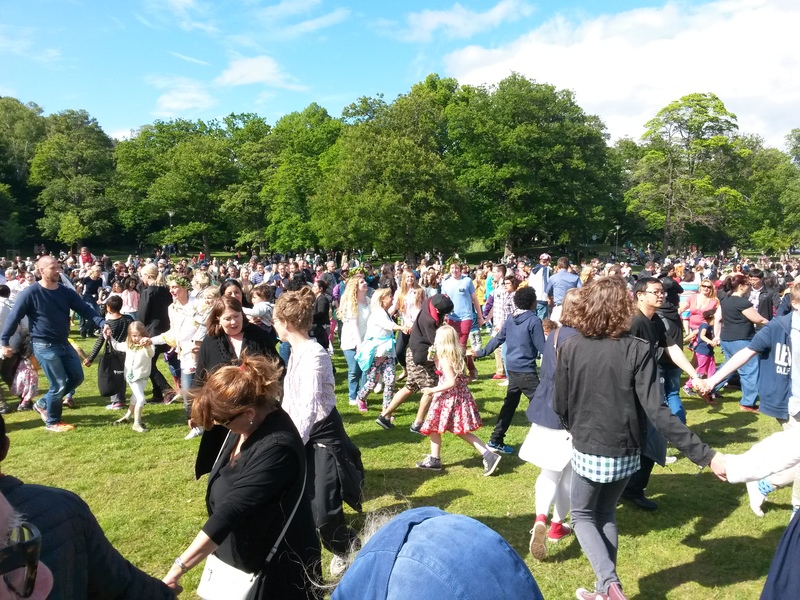 Soon the folk dancers stopped and the crowd began to change shape, opening up into circles and pushing spectators into clumps. 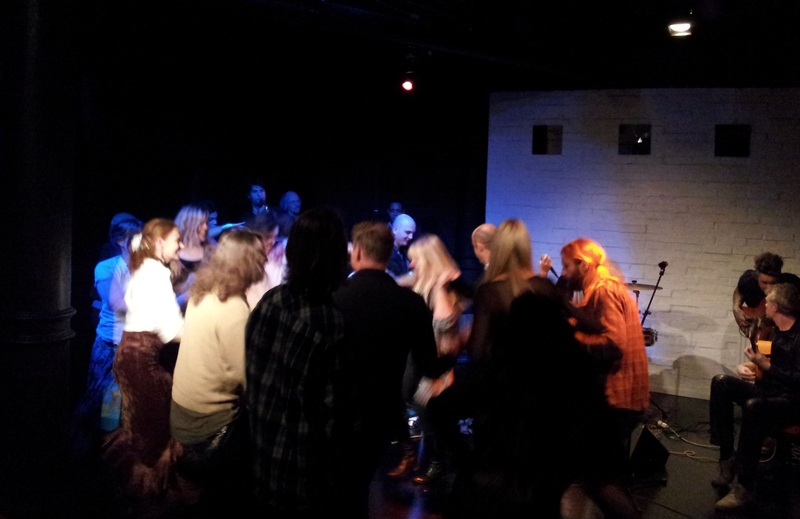 Without much warning the circles began to bounce and twist around, holding hands and singing along to the band on the stage. It was extremely infectious and only my shyness held me back from joining in. 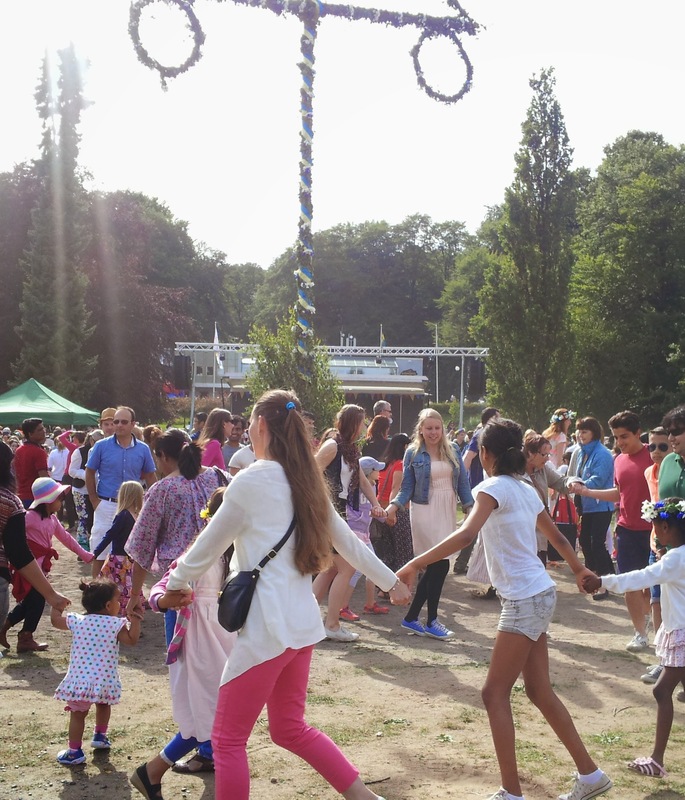 The various dances, including the infamous frog dance and something about washing clothes before going to church on Sunday took about an hour, in which I wandered around dodging dancers and enjoying the atmosphere. Right at the end I was spotted by a friend, who called me over and then pulled me into their circle of cheering and kicking strangers. After the crowds had dispersed we decided to move our picnic to that of our friends, including a few Swedish people who were able to explain a bit more about the traditions and even tried to teach us traditional songs. We ate strawberries and cake and time passed. In time it began to get a bit chilly, but no less bright, and my partners parents left. Soon after one of our friends marked out a rare empty space on the grass and began setting up small wooden blocks. 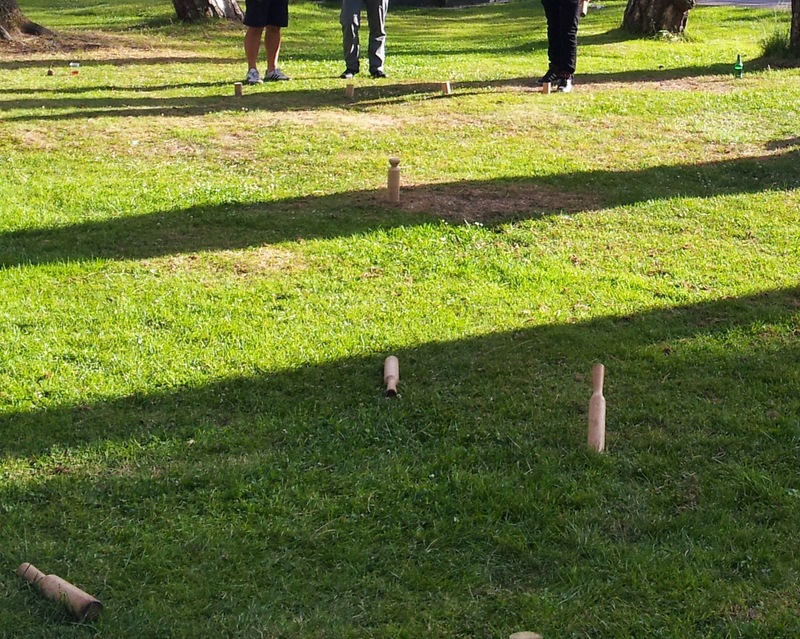 The blocks were part of an old game called kubb, that we were told dates from the Viking era. The aim is to knock over your opponents blocks with wooden batons, and then knock over the king, which stands in between the two rows of blocks. Easy said than done! Despite looking simple it took a lot of strategy, not to mention good aim, though in the end the ladies team prevailed. Twice. Not that we made a big deal about it, of course. After this we continued to relax as the sky gradually became darker, till at around 11.30 we decided to warm up in a nearby bar. When we eventually left the bar the sky was thick with clouds, and just dark enough to make out one star in a small gap, the first we’ve seen in a long time. The rest of the weekend felt like Boxing day, with most of the shops and cafes closed and the streets deserted. Today the country returned to normal, though somewhere, in sheds or storerooms, maypoles of all sizes wait for next year, when the weather will hopefully be as clear and sunny as that on our first Midsummers eve.